She dreamt of becoming a pilot and follow the footsteps of her uncle Colonel Peter Aimos. She is part Sepik, East New Britain and Morobe but was arguably the finest of the three cultures put together. She was a woman with heart of man, someone who cannot be easily distracted from achieving her lifetime dreams and goals. Dorothy Misikaram or "Dodo" as known to many of her friends is in her mid 30s and started off her career at a later age. She finds motivation in her 7years old son. 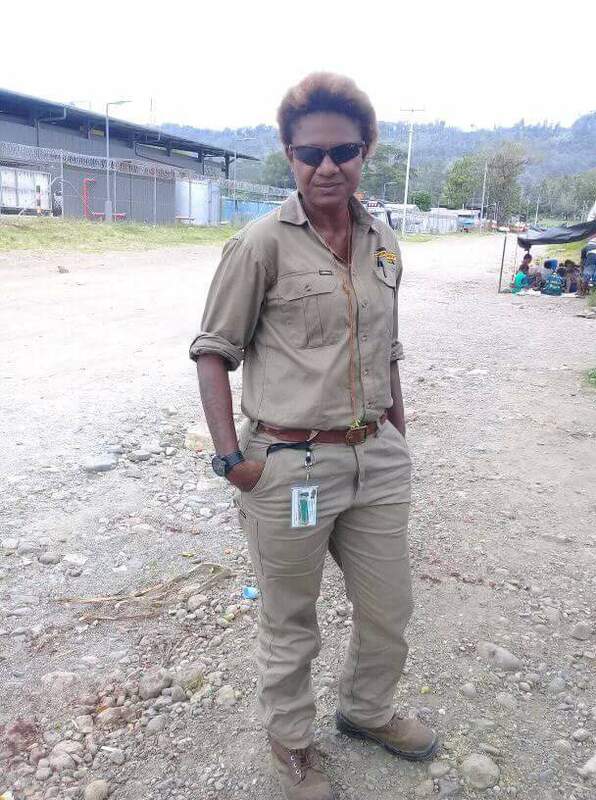 Juggling work and looking after her son, she always spends time with friends and even her beloved softball games (of which she donned the Morobe colours for some good years). I was working on a story about Dodo for my personal blog. She carries that personality and drive that I see will be of great value for aspiring Papua New Guinea women and girls. She attained two diplomas , one in building and the other in business management which she now has a Bachelors Degree. Dorothy started off as a cadet builder and made her way through to be a building engineer and contracts administrator with Hornibrooks until Thursday November 2nd 2017 when she got promoted to a higher position. She was the only successful female building engineer in Lae whom I knew who worked among men in many big projects around the province. Dorothy was the only female engineer who was part of the construction team that built the new Namabawan Super Building in Lae (formerly IPI). Having to see buildings rise up in her beloved hometown gives her a good feeling of accomplishment. She built the new Bishop Brothers warehouse, the TransWonderland (TWL) warehouse at 2mile and recently completed the new Lae Biscuit Factory at Speedway in 2017. She was amazing, she was without a job for two years when her mother passed away. That didn't stopped her from pursuing her dream and of her son's. I was due to interview Dodo on her birthday on December 6th 2017. I was busy with other work that I haven't made it for the interview. She could have told me a lot of things about herself. Her messages are still in my phone, overtime I scrolled through I could imagine "Big Sist Dodo" what I called her. Is this how you wanted me to conclude your story? I knew you have a lot to offer to the great nation of PNG. I will stop my story here and I know you are smiling down from Heaven, knowing that Syl has missed out on that interview. Rest in Peace bikpla Susa Dodo.